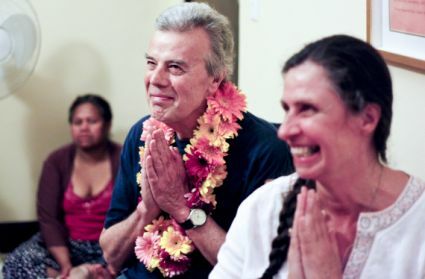 It is with great joy and excitement that we announce this year’s celebrations to honor the 49th birthday of Louix Dor Dempriey (Bhagavan Sri Pranananda). Each year, disciples and devotees around the world hold a three-day celebration as an expression of our gratitude for His presence in our lives and on this planet, and to attune to His Divine energies that are available to all on this blessed day. Each year, Louix spends His birthday with His beloveds in a different part of the world. 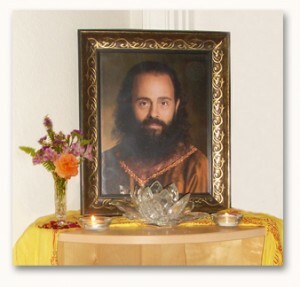 This year, Louix will shower upon us His love and personal blessing as He gives darshan in Los Angeles, California. At the same time, His ashrams and study groups all over the world will host various events and gatherings, which all are welcome to attend. To begin each day of celebrations, Louix’s ashrams will perform an aarti ceremony. During these three days, many people also choose to fast or abstain from particular habits, as an act of devotion. For this year's birthday celebrations we will place our focus on "green initiatives" with stewardship to the environment, sustainable agriculture, and ecological practices. 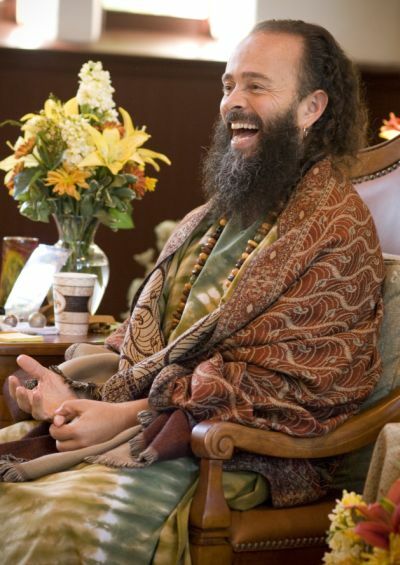 On this day, the community of Prema Drala Ashram will be serving at The Ecology Center in San Juan Capistrano, California, a new educational center whose purpose is to engage people in hands-on activities that teach practical, environmental solutions at the household and community level (visit www.theecologycenter.org for more information). We will be serving in the Eco-Labs, planting vegetables in the Food-Lab, and assisting with the development of the lab and greenhouse. 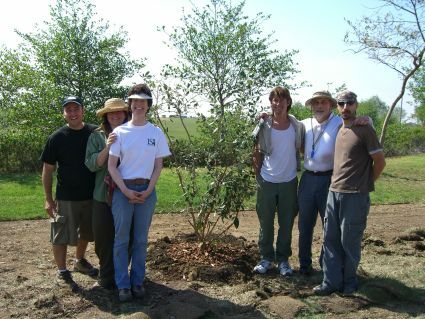 Our Foundation's missions of humanitarian service and service to the Earth are reflected in the programs run by The Ecology Center. We look forward to synchronizing with you, wherever you are located, to create a positive impact upon the Earth's ecosystems. At the day's end, disciples and devotees will gather together for a "Lila Night," wherein we share with each other the rich stories containing the miracles and blessings that occur in our lives through the grace of the Master. It is widely known that the two most powerful days to receive the darshan of a living Master are the day of His birth and the day of His liberation/enlightenment. 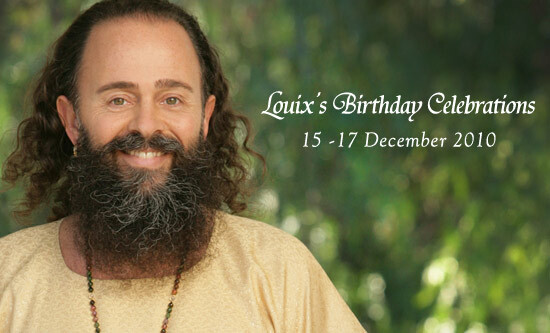 Louix has graciously set aside His birthday to give darshan in Los Angeles, California (click here for more information about this event). His ashrams and study groups will join the festivities with an evening of devotional singing, singing chants from various spiritual traditions, with most songs expressing devotion to the Guru.